PLEASE READ BELOW & BE SURE TO PROVIDE THE NECESSARY *Starred* INFORMATION TO COMPLETE YOUR ORDER & A CONTACT EMAIL OR PHONE NUMBER TO REACH YOU AT SHOULD I HAVE ANY QUESTIONS. *Dress up a 'Fundamental' style rhythm bead necklace(basic designs w/7 bells) or choose from this selection of pendants, larger center bells and horsehair tassel options for our 'Grande' (drop swag) style rhythm bead necklaces. *1. the letter/number of the pendant, bell or horsehair tassel with a description (listed below) Example D3 Star. *2. the NECKLACE DESIGN you would like it added to. *The 'Bell Options' are larger than the standard bells we use and a nice way to add a little front center focus to your rhythm beads necklace. 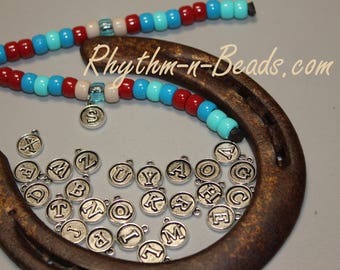 Visit our online store www.rhythm-n-beads.com or Email me and we can start designing your CUSTOM set of rhythm beads today. 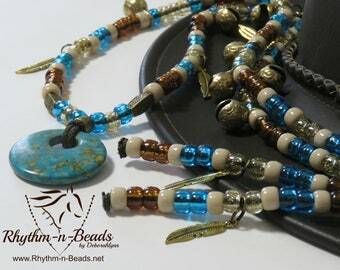 Rhythm-n-Beads® ...'helping horses and riders ~Add Rhythm To Your Ride™~ ....Happy trails! 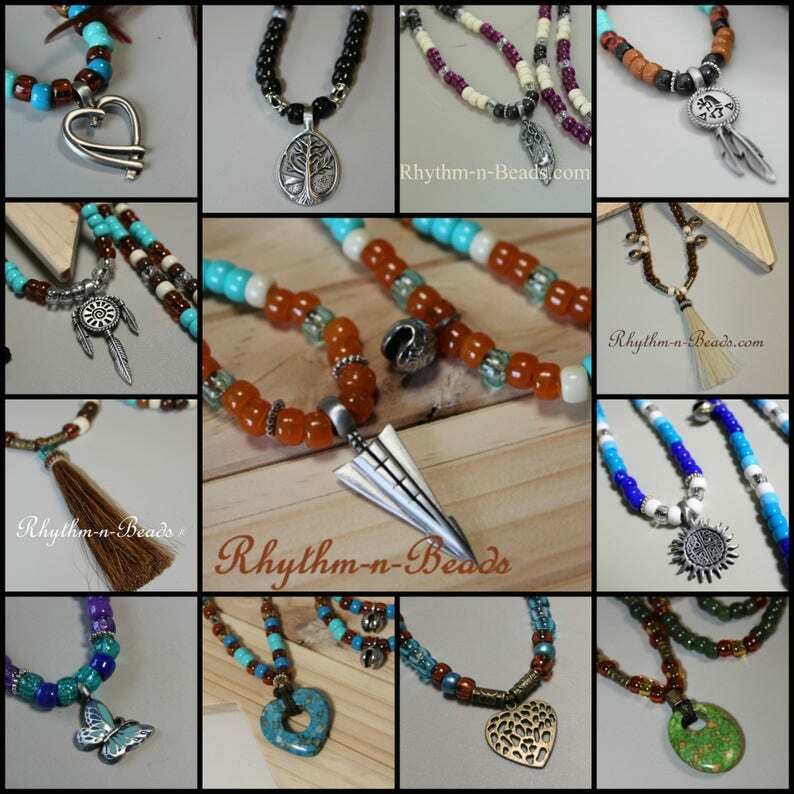 Rhythm-n-Beads® ... Quality products, proudly handmade is the USA and shipping worldwide to satisfied customers for over 10 years. Offering 90+ designs...MORE TO BE ADDED!!! Select your size: Mini 35", Pony 45", Avg Horse 54", Warmblood 64" Draft 70"
Be sure to Follow us on FACEBOOK & Pinterest and get sneak peeks of NEW products & specials! As FB fans of R-n-B, you'll also be eligible to enter our fabulous giveaways and contests!!! Wonderful communication and extremely fast turnaround!! Thank you so much! I love them!